HOUSTON (Reuters): Oil prices ended with full-year losses for the first time since 2015, after a desultory fourth quarter that saw buyers flee the market over growing worries about a supply glut and mixed signals related to renewed US sanctions on Iran. For the year, US West Texas Intermediate crude (WTI)futures slumped nearly 25%, while Brent tumbled more than 19.5%. “We’re flush with oil,” said Phillip Streible, senior market strategist at RJO Futures. “OPEC is out there cutting, but the market isn’t really pricing that in.” Oil prices fell more than a third this quarter, the steepest quarterly decline since the fourth quarter of 2014. Crude oil futures posted modest gains on Monday. Brent settled up 59 cents, or 1.1%, at $53.80 a barrel, while WTI settled 8 cents higher at $45.41 a barrel. Prices rose through most of the year, continuing 2017’s recovery after several years of weak pricing that sent oil-rich economies into tailspins and forced hundreds of US energy companies into bankruptcy. Renewed US sanctions against major producer Iran, as well as healthy economic conditions and concerns about crude supplies, had elevated prices until October. “OPEC and non-OPEC producers found themselves competing with additional supplies from the US that overwhelmed the market,” said Andy Lipow, president of Lipow Oil Associates in Houston. The producers’ group now plans to cut 1.2 million barrels per day (bpd) beginning 1 January. It acted as fears a US-China trade war, falling US stock prices and rising US shale output and interest rates would hurt global demand pushed crude lower. A tweet by US President Donald Trump claiming progress on a possible US-China trade deal pushed crude prices up more than 2% in early trading on Monday. But oil lost ground as traders focused on data showing China’s economy slowed further in December, analysts said. The United States, which broke its 1970 peak of 10.04 million bpd in November 2017, surpassed Russia and Saudi Arabia to became the world’s top producer in 2018, hitting an all-time high of more than 11.5 million bpd in October, the US Energy Information Administration said on Monday. US drillers added about 138 oil rigs in 2018, the second year in a row of boosting the rig count. 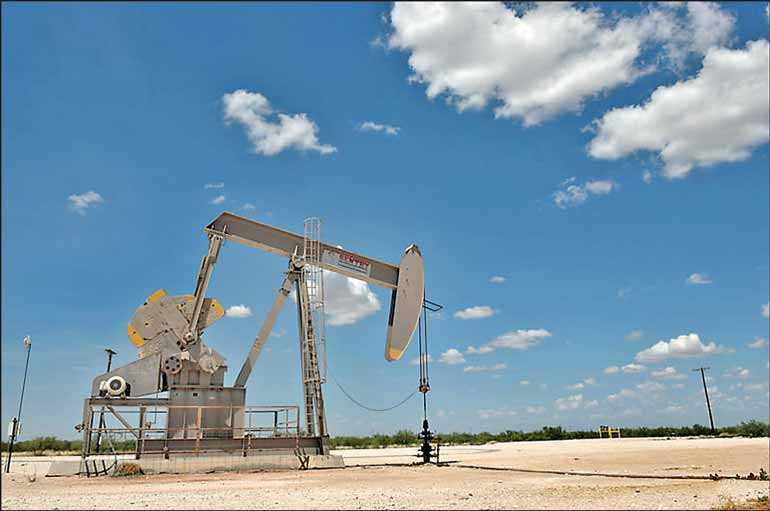 But North American producers will likely begin to reduce spending on drilling in 2019 as prices fall below break-even levels for new wells in the Permian Basin and the Eagle Ford shale field in Texas, analysts said. “You could have a meaningful rally,” said John Saucer, vice president of research and analysis at Mobius Risk Group in Houston. “More companies are reducing capital expenditures, and production probably isn’t going to go as high as forecast.” Still, prices could stagnate for weeks until OPEC’s cuts begin to affect global supplies in mid-January and early February. Money managers trimmed bullish wagers on US crude to the lowest level in more than two years in the week to 18 December, the US Commodity Futures Trading Commission said in its most recent report. New CFTC data will not be released until the partial shutdown of the federal government ends.